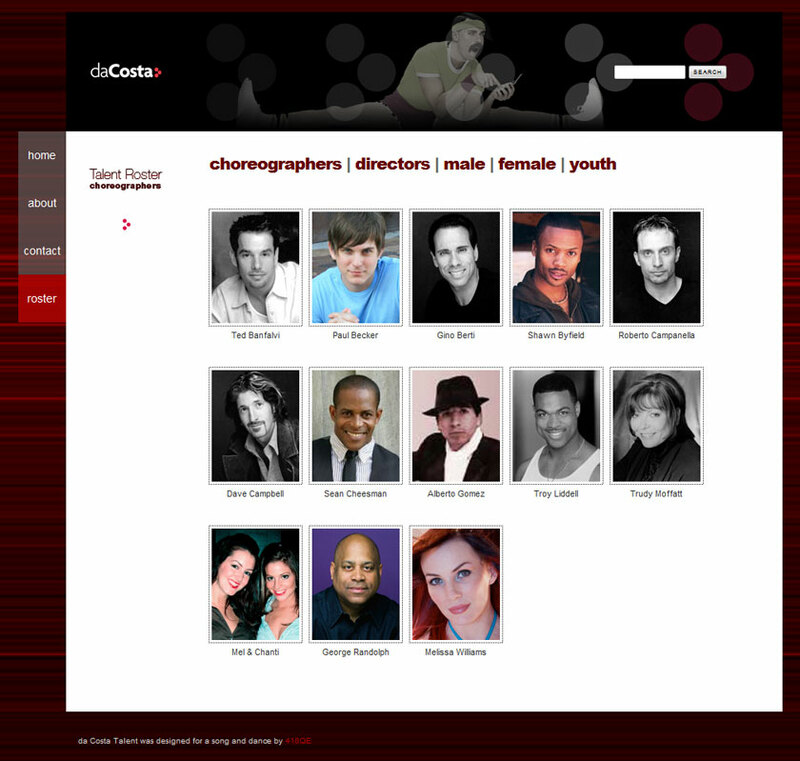 Thank you again on behalf of the 150+ excited clients of da Costa Talent Management. da Costa Talent hired Thirst to help realize their potential online. 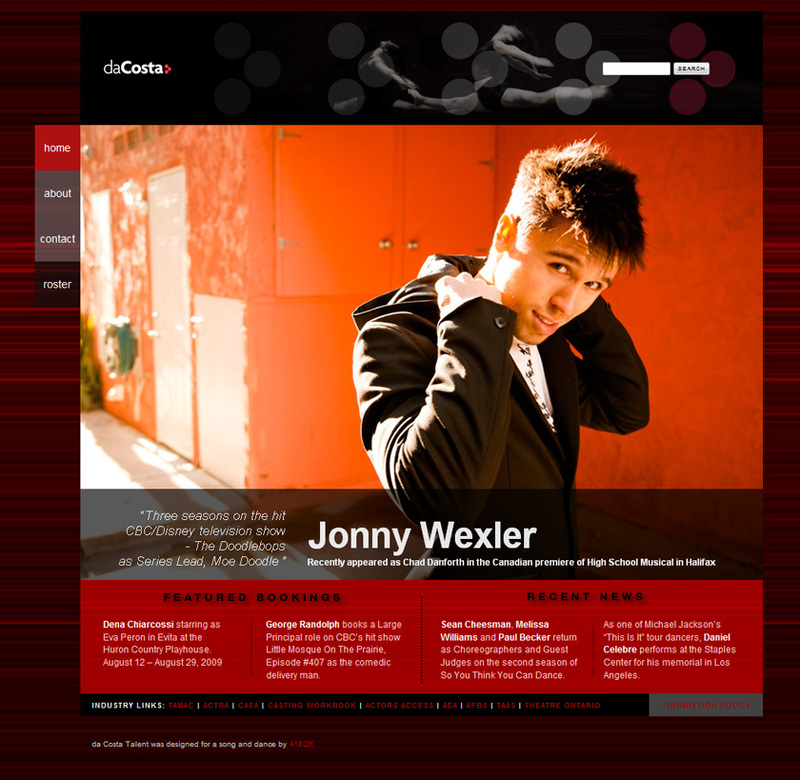 The leading Canadian talent management agency for ‘triple-threat’ talent. To further brand themselves via a successful launch online as the premiere triple threat talent agency in Toronto. To make it easier for industry clients to quickly peruse their many talented performers, to help save time and money with their representations and to better serve their agency client’s interests. 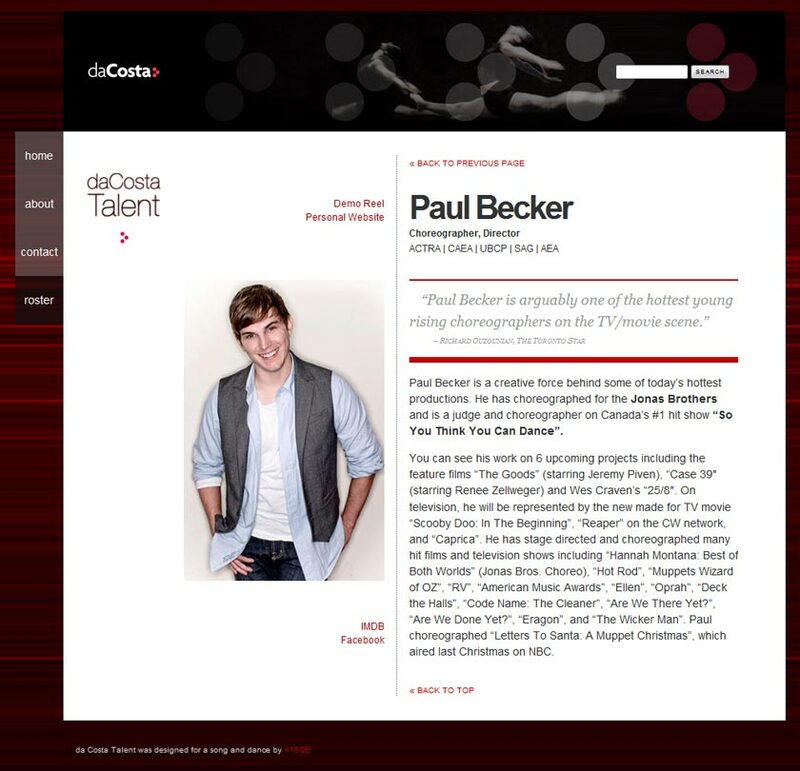 Several years earlier Thirst had rebranded da Costa Talent and because of this we had a solid starting point for the web site. This talent agency has evolved into a mature agency and it needed to have a strong forum for its industry clients to peruse its agency clients (talent). 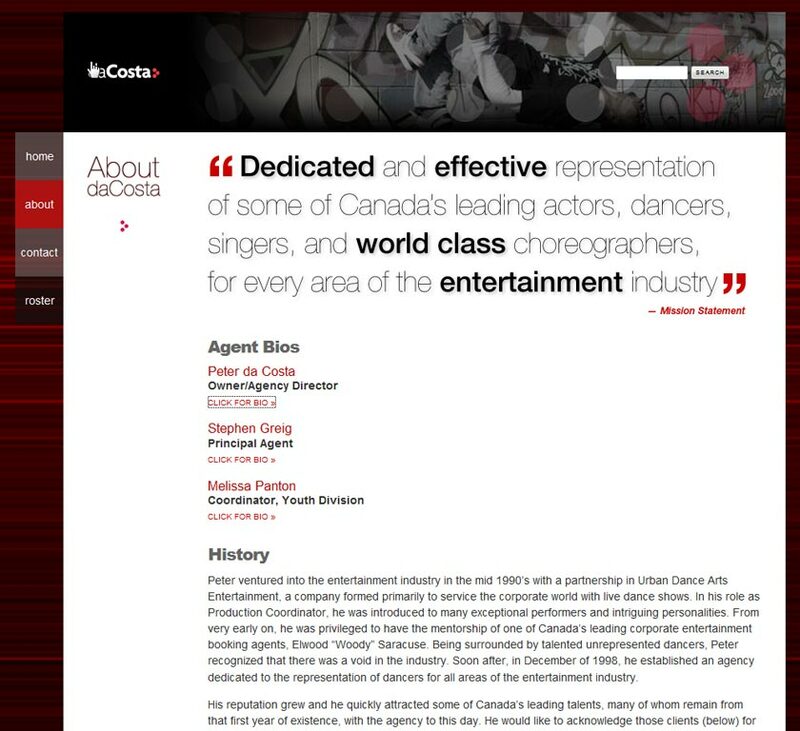 When completed, notices of the launch were sent to every casting director in Canada, LA and NYC, every theatre and commercial production house in Canada and every industry contact that da Costa Talent had made in the past 10 years. I’ve received overwhelming praise on the website from both my clients and the industry just one day after launching. There is a clear consensus that the sites’ layout is simple to navigate and at the same time interesting and unique in comparison to other competing agencies. This is going to be a great tool to both showcase my clients and elevate our status in the industry. I could not of achieved this important milestone without your guidance and expertise. This entry was posted on 2009.09.01 at 3.11 pm and is filed under Entertainment. You can follow any responses to this entry through the RSS 2.0 feed. You can leave a response, or trackback from your own site.